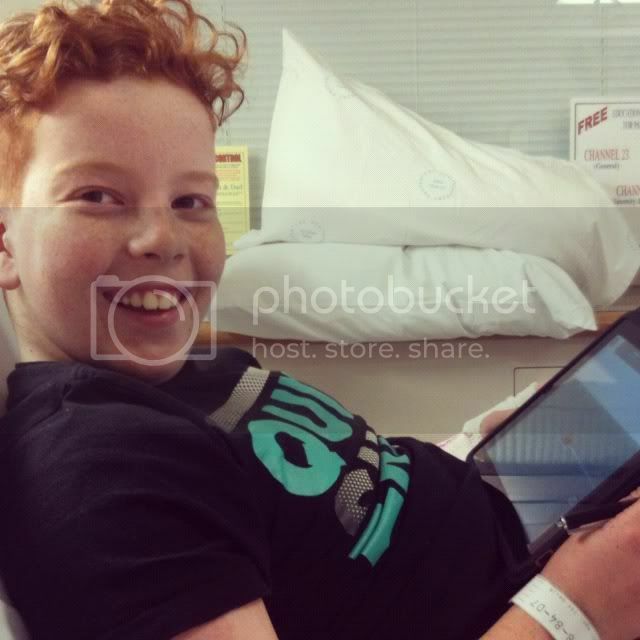 Well I am excited to say that it is school holidays here in Sunny Sydney and even more excited because my son (Mr 11) has just spent a week in hospital. He went in on a Thursday and we came out last Thursday after a week I will never forget, and I don't think he will either. He was complaining of pain when he was walking on the Monday afternoon and after I had a look and dressed it as a Planter Wart, something they catch very easily from Public pools where they have swimming with the school. The day after I sent him to school for crazy hair day and was called at Lunch time to collect him. After looking at it and getting worried I took him off to the Drs who said it was just a blister killing whatever was inside. My 11 year old was not one to complain but the sleepless nights he was suffering from was bad for both of us. Hubby ended up taking him to his GP on the Thursday morning but by the time he go back home to me his foot was bad. I will not put up a picture of what under his foot looked like but this was the top. Swollen and starting to get very red on top. Off to emergency and thats when the fun started. 5 days of IV antibiotics, two strong antibiotics for 3 days and surgery to remove all the crap on his foot. 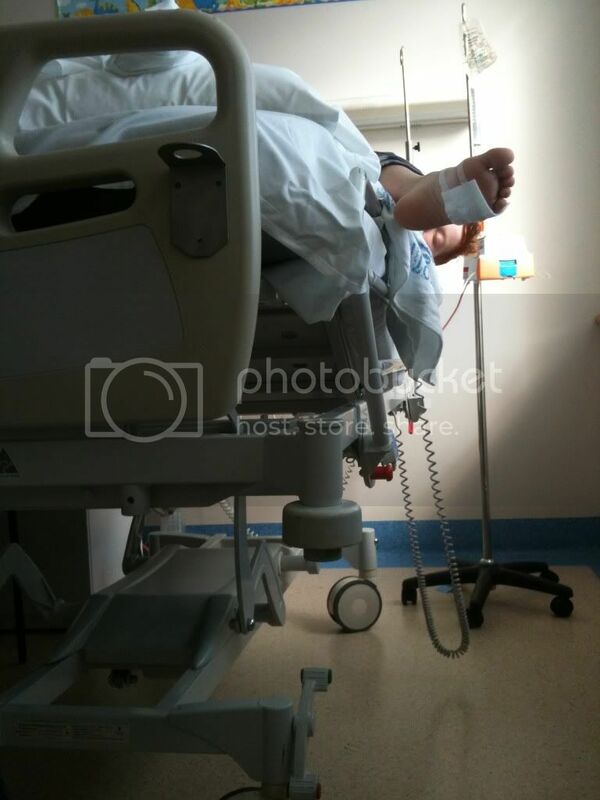 It is not easy keeping an 11 year old boy happy when he cannot walk and is confined to bed with an IV but he did it and after a little scare that the infection was going up his leg. we knocked it on the head with surgery and 2 antibiotics. 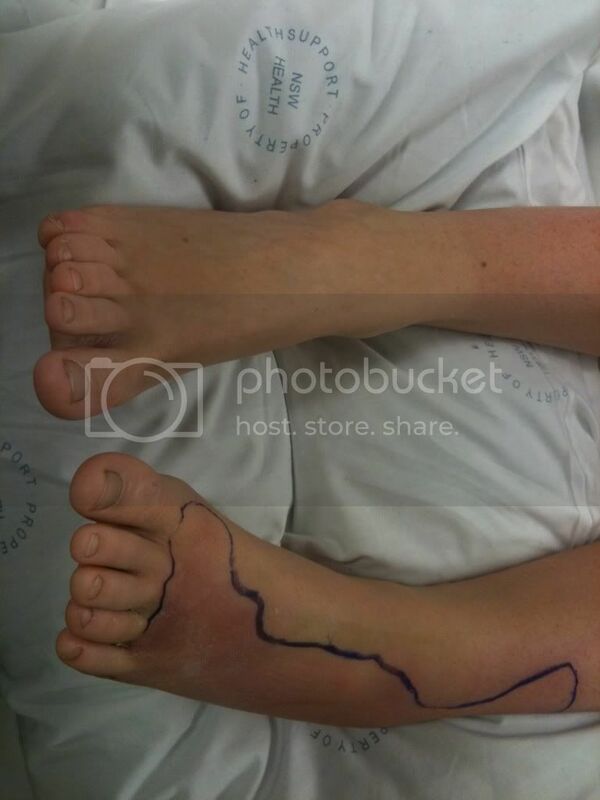 Before surgery, the blue line was there to make sure the red didn't spread. Morning after surgery, what a long night that was. 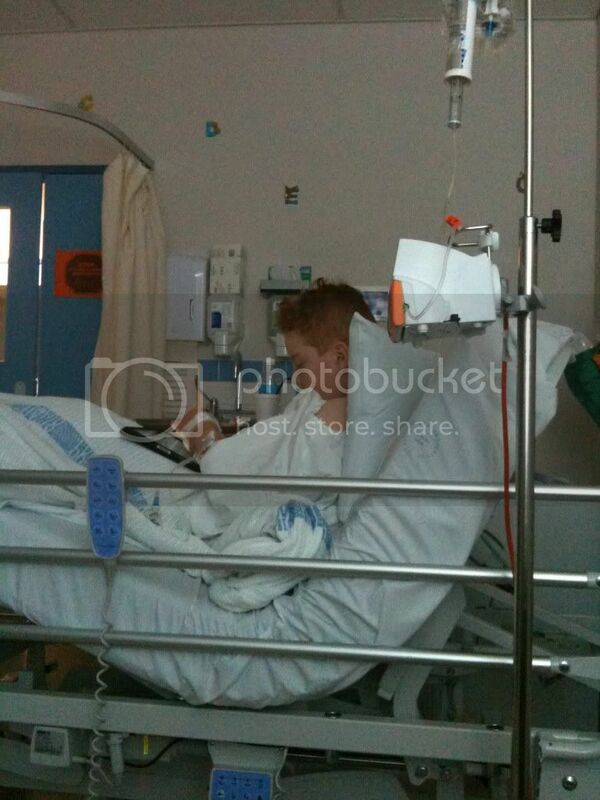 He didn't go to theatre till 9.30pm and didn't come back to the room till 12.30am. 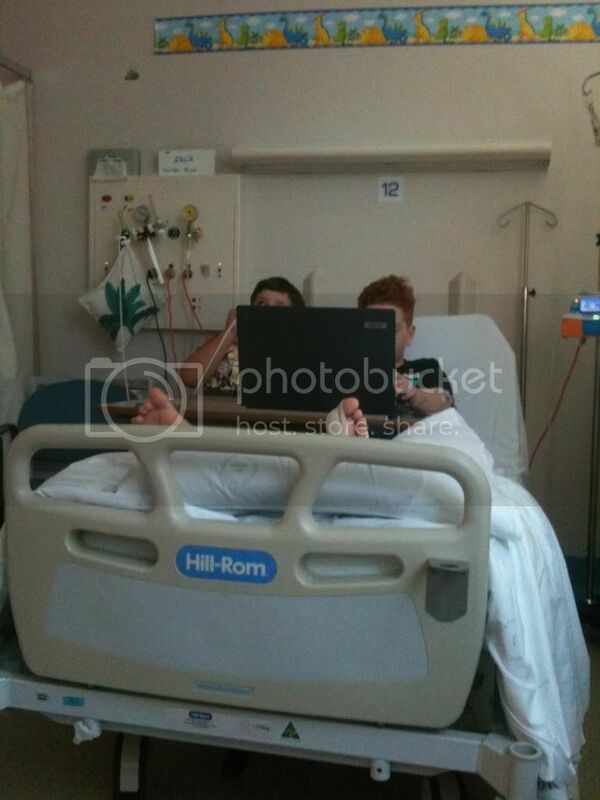 You do what you can to amuse yourself in hospital. Playing a new game on the laptop while his brother is watching TV. We still don't know exactly what caused this but he is on the mend now and we have two weeks off to take it nice and slow so he will be back in full force for the start of school next term. If you made it thru this post thanks cause it was a very personal post one that we don't normally put on our little blog.